Last year I shared some tips on how to maintain your little one’s sleep during the holiday season. From travel to the abundance of friends and family, those tips are still at the top of my list for making sure your little ones don’t turn into the Grinch at the first sign of a change in routine. Juggling family festivities, work holiday parties, school potlucks and cookie exchanges is…exhausting! But popping around from one function to the next like a zombie in an ugly Christmas sweater is just, well, ugly. So this year, I’m here to tell you it doesn’t have to be that way! 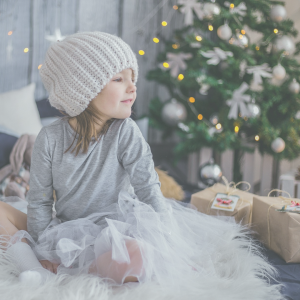 Just like with your kiddos, strategic planning and a strong will, it really is possible to sleep during the holiday season. So here are a few ideas on how to best keep those “silent nights” through all the chaos. Okay, maybe you’re laughing and about to stop reading this post. Heck, I’m laughing at the thought as I write this. But hear me out. There will always be must-attend festivities — those that you have to commit to. But that one weekend where you’ve been invited to six different “Celebrate Holiday Cheer with the [insert family name here],” give yourself permission to decline. Talk to your partner about setting boundaries and expectations on the holiday calendar. Too many obligations can induce stress, and putting your sanity and health first is 100% okay. Sure, you might have some serious #fomo, but spending some relaxing time at home to start traditions of your own will make for lasting memories that you’ll cherish. Did you know the most common and abundant source of blue light (that’s light with a short wavelength and super high energy) is the sun? Natural sunlight keeps our circadian rhythms healthy (aka the body’s natural time clock) and makes us feel more alert. So fight the winter hibernation urge, and even if it’s chilly out, bundle up, and get outside. Taking in some vitamin D will boost your energy levels during the day, and help you sleep deeper and longer at night. Blue light, on the other hand, is not so great for sleep because it inhibits melatonin production and signals our bodies to stay awake. The bad news? It doesn’t just come from the sun. Smartphones, computer screens, TVs and tablets all emit blue light. Yes, I too am guilty of dozing off with the Hallmark channel playing my favorite holiday love story or scrolling through Instagram right before bed to catch up on all the holiday festivities of friends and families in other cities, but our brains will have a hard time shutting down for sleep with too much light. 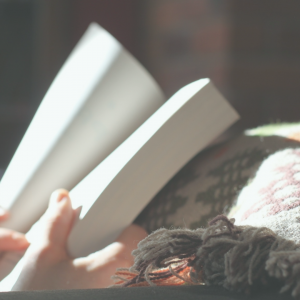 So give yourself an hour before bedtime to go screen-free, shut off the Christmas lights, and cozy up by the fireplace with a good read or an at-home spa treatment (#selfcare, anyone?! ), and you’ll settle into a deeper slumber. And if you are really feeling gutsy (and ready to be sleeping better before we hit 2019, consider joining me FREE “Stop Scrolling, Start Sleeping” challenge. You can register for that here. 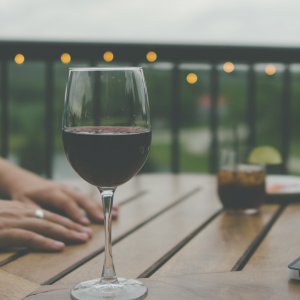 I promise I don’t want to be the Ebenezer Scrooge on booze, but there are a few things you should know about how alcohol impacts your sleep so you can happily sip and slumber. Sure, downing a glass of wine or an aperitif before bed makes the best of us warm and drowsy, so falling asleep is quick and easy. But the more you drink, the less melatonin your body will produce and the more disrupted your sleep will be throughout the night. As soon as your body metabolizes the alcohol in your system, you’re likely to find yourself restless, in and out of sleep, or wide awake in the middle of the night. The fix? When you decide to indulge, timing (and I suppose moderation) is everything. Sip your last beverage two to three hours before bedtime, then drink a glass of water before hitting the hay. Easy enough? Yup, especially if it means quality sleep during the holiday season! Whether you’re staying home or traveling cross country for the holidays, do your best to stay consistent with your sleep schedule. From relatives who want to stay up all night chatting, to punch bowls of eggnog, there will certainly be a few late nights. Sleeping in on the weekends can wreak havoc on your body’s sleep-wake cycle. Do your best to go to bed and wake up around the same time every day. If you’re out late one Saturday night, get yourself out of bed in the morning within an hour of your usual wake time, even if you’re tired (then get outside for that natural sunlight energy boost!). And if you really need to squeeze in a nap, 20-30 minutes in the afternoon should leave you feeling re-energized. 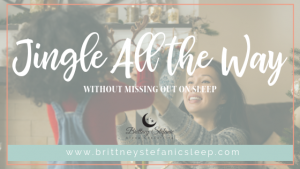 And if the holidays really take it out of you this year, get in touch for support, advice, or a fully customized sleep plan for yourself or your littles! After all, the gift of sleep is the highest trending holiday gift for 2018. Cheers to silents nights, quality sleep during the holiday season, and Santa, too! These are great tips! Will def remember these to keep all the kiddos sleeping this season! Thank you for sharing Brittney!